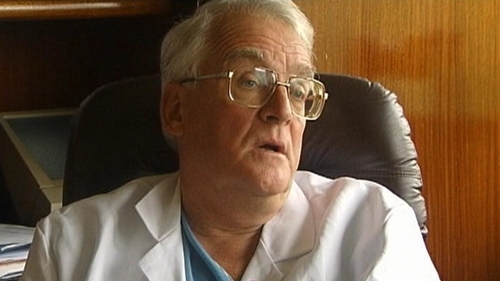 Former Mater Hospital heart surgeon Maurice Neligan has died at the age of 73. Mr Neligan was from Dublin and was one of the best-known doctors in Ireland and an active campaigner for patient services. He performed the first open-heart surgery for congenital problems in 1974. He also performed the first coronary artery by-pass graft in 1975 and carried out Ireland's first heart transplant in 1985. Mr Neligan served as consultant cardiac surgeon at the Mater Hospital from 1971 to 2002 and at Our Lady’s Children's Hospital in Crumlin from 1974 to 2002. He was educated at Blackrock College and qualified in medicine from UCD in 1962. Mr Neligan was a co-founder of the Blackrock Clinic in Dublin. Despite having retired in recent years, he remained active in public debate on the health service. Mr Neligan wrote a regular column for The Irish Times health supplement. In recent years, he spent some of his retirement in Glenbeigh, Co Kerry. The Taoiseach paid tribute to Mr Nelligan, saying he was a very distinguished surgeon, and conveyed his sincere sympathies to his family. Mr Cowen said there were many families in Ireland who were deeply grateful for his work. Fine Gael Leader Enda Kenny said Mr Neligan's 'gentle nature, his realism and his colourful opinions on health and politics will be missed by all across Ireland'. The party's health spokesperson, Dr James Reilly, said Ireland had lost 'a leading champion of the patient and the health service'. Chief Executive of the Irish Heart Foundation Michael O'Shea also paid tribute to the outstanding contribution Mr Nelligan had made in the development of cardiac surgery in Ireland. Freddie Wood, Consultant Heart Surgeon at the Mater Hospital, has said Maurice Neligan was the outstanding surgeon of his generation. Mr Wood said Mr Neligan's major legacy was the development of heart surgery in children. Mr Wood said Mr Neligan was second to none in surgical skill and a passionate patient advocate. Mr Neligan is survived by his wife Pat, who is also a doctor. The couple had seven children. A daughter, Sara, died in 2007.